All professionals at Gavin Schill maintain the highest levels of accreditation and pursue ongoing education to stay abreast of the latest trends in the medical field. Read on to learn more about our staff's experience and training. 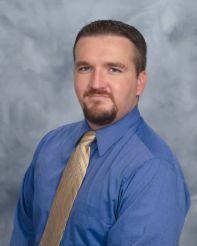 Dr. Schill is a graduate of Indiana School of Dentistry and the University of Notre Dame. He maintains active status in the American Dental Association and the Indiana Dental Assocation. As a patient of Christiana Creek Dental Care, you will find Dr. Schill to be patient, compassionate and understanding. He practices dentistry with excellence, meaning he capably and competently assesses your oral health needs while remaining sensitive to your overall needs. Dr. Schill personally prefers to make informed, educated decisions. You can trust him to present you with thorough, complete information in the decision making process regarding your oral health care. He is a firm believer in life-long learning, assuring you that your oral health needs are being addressed with expertise over your lifetime. Dr. Schill is committed to the Michiana area and its future. He is ready to make a difference in caring for your and your family's oral health needs. He is accepting new patients of all ages. Call to schedule your new patient appointment with Dr. Schill today! 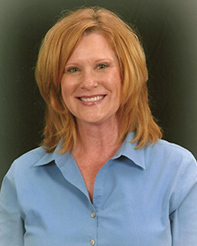 Denise earned AAS degrees in both Medical Technology and Dental Hygiene. 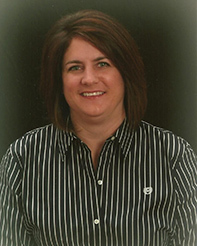 She has been a licensed dental hygienist for over 15 years. Because of her unique combination of skills and experience, Denise is a great resource for our patients. Her Continuing Education (CE) credits include Perio-Therapy, CPR, Infectious Disease Control, Leadership, and Communication. She is ready to introduce our office and staff to new patients and to answer questions from how to schedule an appointment, to how to understand oral health recommendations, to how to financially plan for oral health treatment. She is ready to ensure that your appointment in our office is complete and that all your questions and concerns are answered before your leave. Denise is a world traveler and has done dental mission work in India. She is active in the Delta Society which works to improve human health through service animals. Roxanne is a graduate of Indiana University, South Bend. She is the 1999 Rebekah Fisk Award for Clinical Experience winner. Roxanne is great in answering oral health questions and making hygiene visits fun. She has a gentle touch and knows her patients well. Her CE credits include Perio-Therapy, CPR, Infectious Disease Control, and Leadership. Roxanne's volunteer experience through LaCasa De Amistad, Inc. includes providing oral health care education and screenings. She also has participated in dental mission work in India. Roxanne remains active in supporting youth soccer in the area.